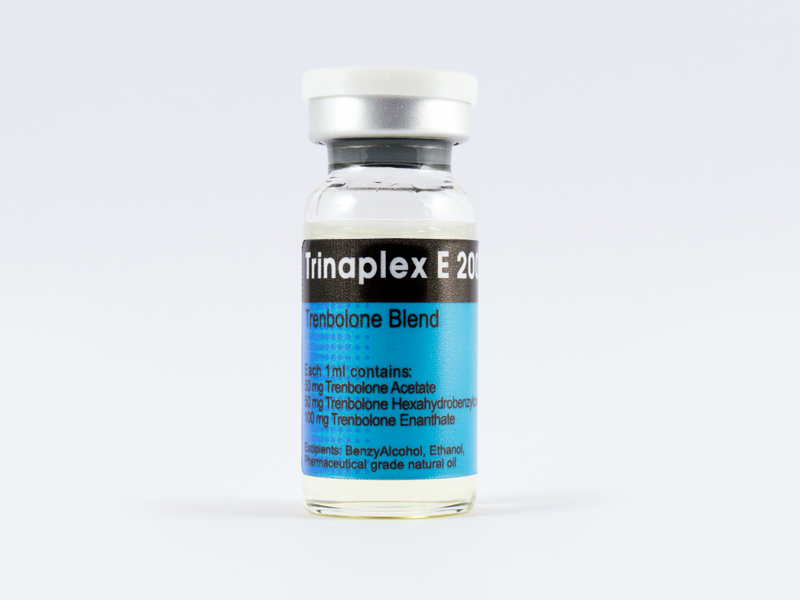 TRINAPLEX E 200 is a combination of three different trenbolone esters. Trenbolone is a modified form of nandrolone. It differs by the introduction of double bonds at carbons 9 and 11, which inhibit aroatization(9-ene), increase androgen-binding affinity and slow its metabolism. The hexahydrobenzylcarbonate ester used here extends the release of trenbolone for more than 2 weeks.